I imagine that we've all been deeply moved this week by the devastation caused by the earthquake in central Nepal, and I'm sure that as well as praying people have also been giving financially. We felt that as a church community we should look to make a response too, so on Sunday we'll take up an offering for the relief work in Nepal. All the money raised (including the gift aid we claim) will go to Tearfund, a Christian aid agency we've worked with very closely over a number of years. If you can't be there on Sunday why not consider giving either to Tearfund, or to the Disasters Emergency Committee which Tearfund is a member of. 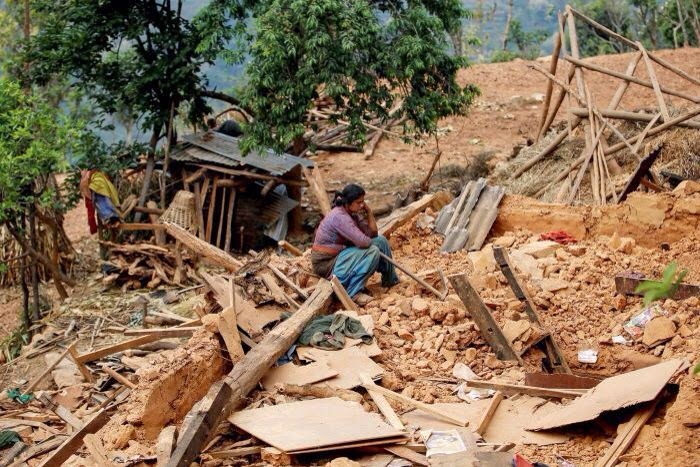 Please continue to praying for the people of Nepal, for those grieving lost ones that they will know God's comfort, for those in need that they will know God's provision, for the aid agencies that they will be able to express God's compassion and for the people looking to rebuild Nepal that they will know God's wisdom. We're also thinking about how we reach out to the Nepalese community in our local area, many of whom will have family and friends affected by the earthquake. I've been inspired by the response of our Filipino community in Kerith, who so identify with what the Nepalese are going through after the typhoon which devastated the Philippines in November 2013. They are looking to do fund raising for Nepal in order to show their support for these people, and hope to spend time with the Nepalese community through the English classes we host for them. Please pray for all of that too. I hope to see you on Sunday, where we'll also be continuing with our Satisfied series.